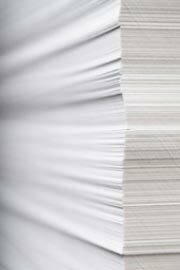 Usually printer ink manufacturers say an ink or toner cartridge is enough to print this or that amount of pages. Little is known of how actually this number is defined. Yes, we know that they use a 5% coverage page and print continuously until a cartridge (or several cartridges – to get consistent result) is empty. But that doesn’t have much to do with real life printing. 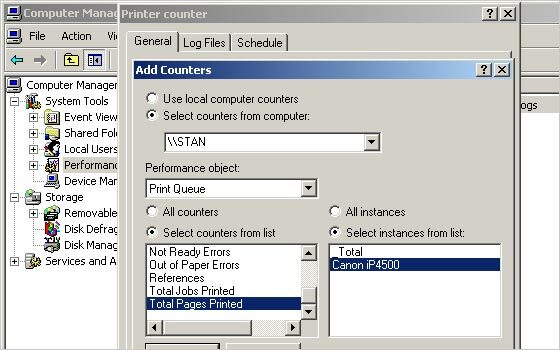 Good thing is this way of counting printed pages does not require any additional software (though there is some,) except for Windows XP installed. Bad thing is you won’t get specific, detailed information like page size, printing quality mode, color and other settings. Let’s start our way to get the printed pages counted. 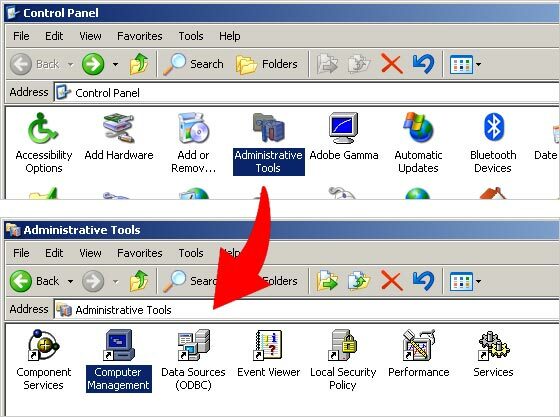 In the Log Files tab, I suggest selecting tab delimited text file for log file type. 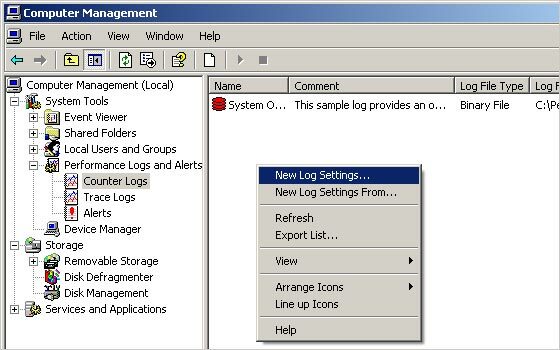 Here you may adjust name format, location and size limits of the log file. 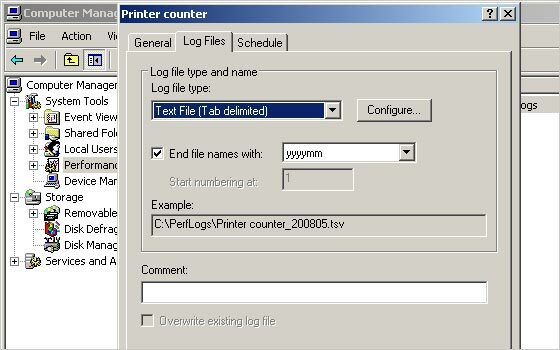 By default, the log file is located in c:\perflogs directory. 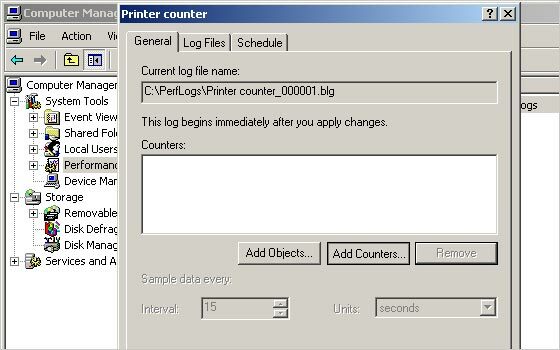 The “Schedule” tab allows you to set date and time when the counters are active. Make sure you started the log (the icon turns green) and you are done! 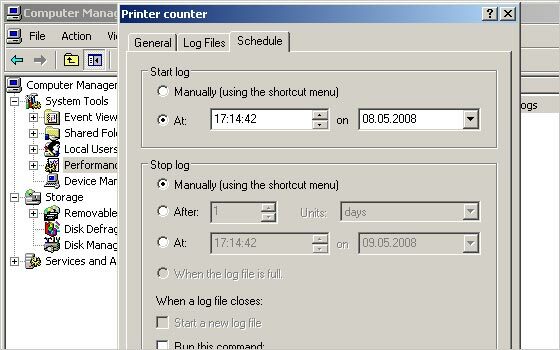 This entry was posted on Thursday, May 8th, 2008 at 2:27 am	and is filed under printer, troubleshooting. "Please Welcome a New Toner Cartridge Depot"